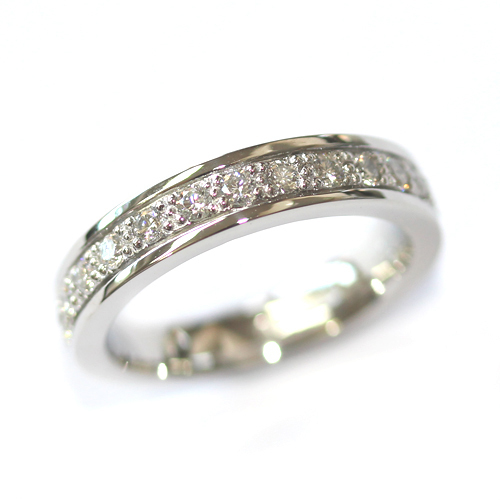 Platinum Grain Set Diamond Wedding Ring with a Border — Form Bespoke Jewellers Ltd.
A bespoke wedding ring with a diamond set wave and scalloped edge. 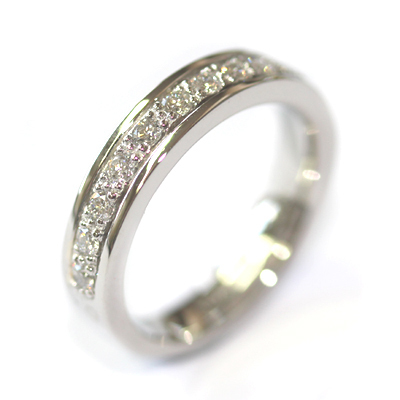 Round brilliant cut diamonds have been set around the entire band of this bespoke wedding ring. Each diamond is of matching colour and clarity to the next in order to ensure a perfect finish across the piece. The customer also chose for the diamonds to be grain set. This means that small “grains” of metal hold the diamonds in place. These are then highly polished and in turn create an extra sparkling illusion.